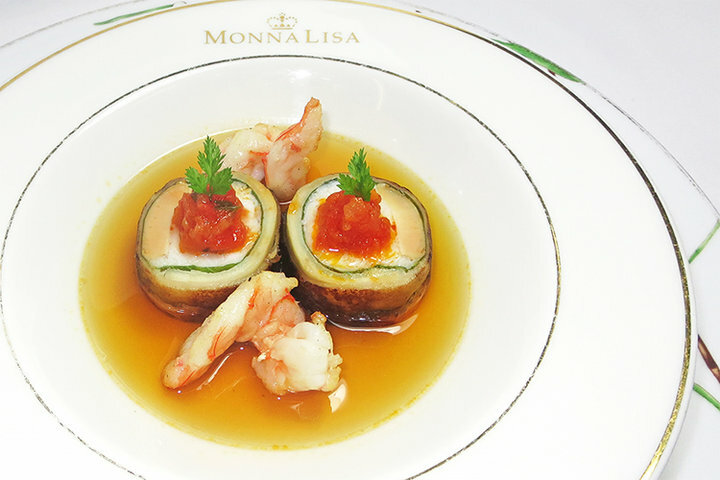 Restaurant MONNA LISA Marunouchi has been a French restaurant having an absolute stunning view from the toppest 36th floor of the Marunouchi Building just by Tokyo Station. 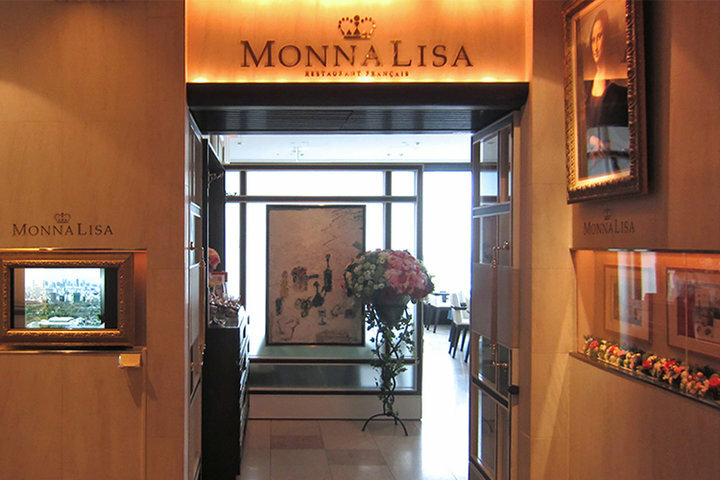 It is a Marunouchi branch of the well-beloved Restaurant MONNA LISA at Ebisu with a history of 20 years or so. 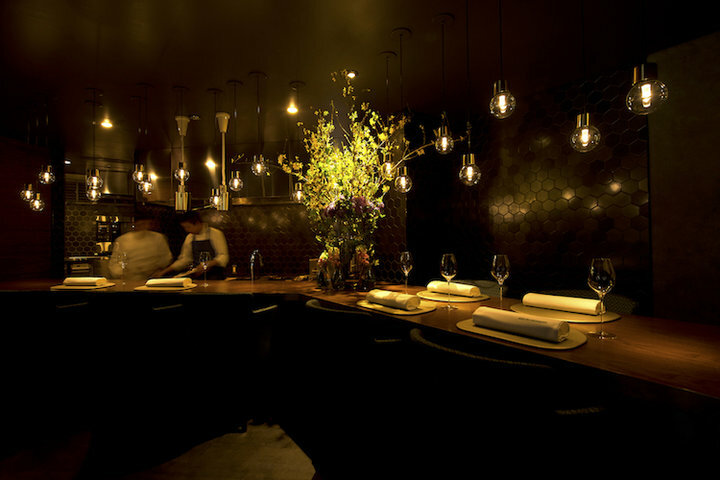 After training in France's renowned restaurants, chef and owner Toru Kawano moved to Restaurant Hiramatsu and then, as close apprentice to the world-famous master chef Joël Robuchon, became the first Japanese chef at Taillevent Robuchon in Ebisu. 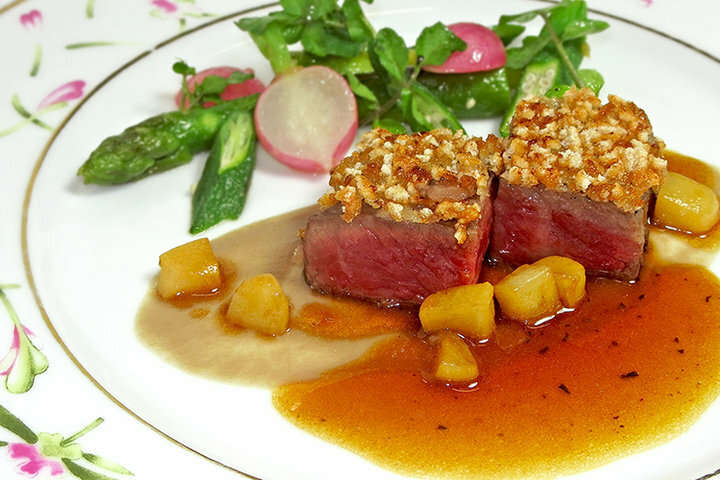 In 1997, he opened his own restaurant, the original Restaurant MONNA LISA, in Ebisu, and now goes back and forth between Ebisu and Marunouchi. 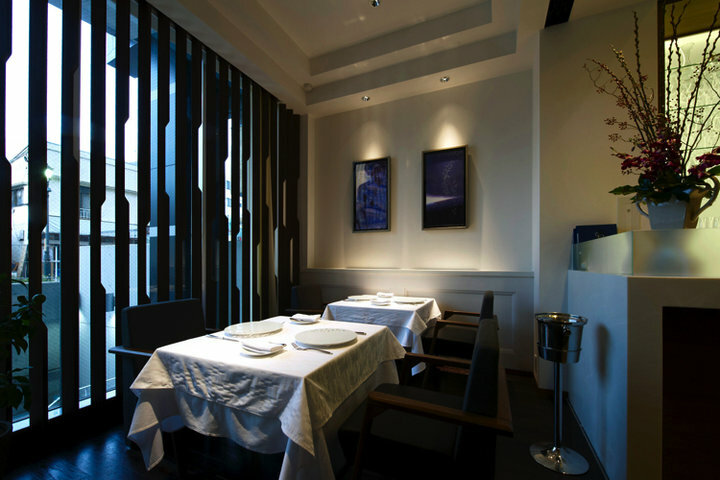 Originating from Miyazaki Prefecture, Chef Kawano is an evangelist for foods from Miyazaki as the "Miyazaki ambassador," using carefully-selected ingredients from Miyazaki and other locations all over Japan in his cuisine at "Restaurant MONNA LISA". 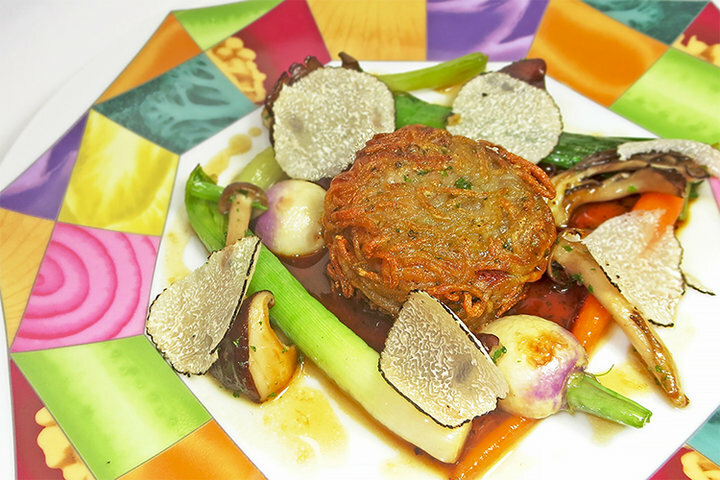 MONNA LISA's summer specialty has been the "Rosace de Tomate." since the opening. 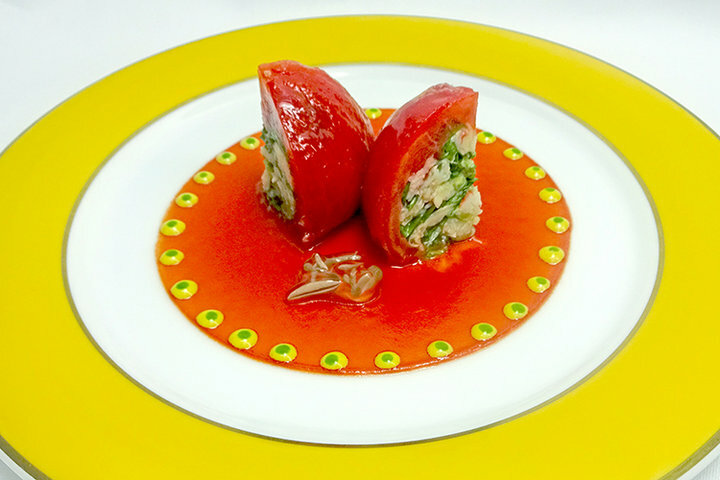 This delicate and rose-like masterpiece made of ripe tomatoes stuffed with avocado and crab, is like a refreshing breeze on a hot summer day and shows the full thought and attention of Chef Kawano as he continues to create consistent and uncompromising cuisine. 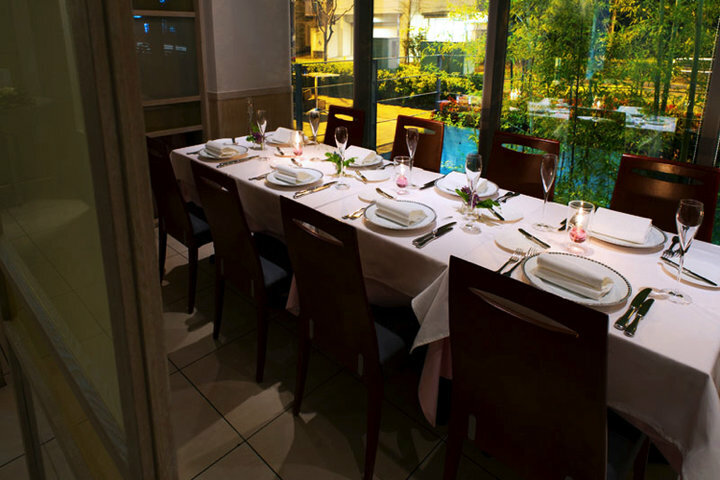 The white-themed dining room gives a chic and elegant impression. 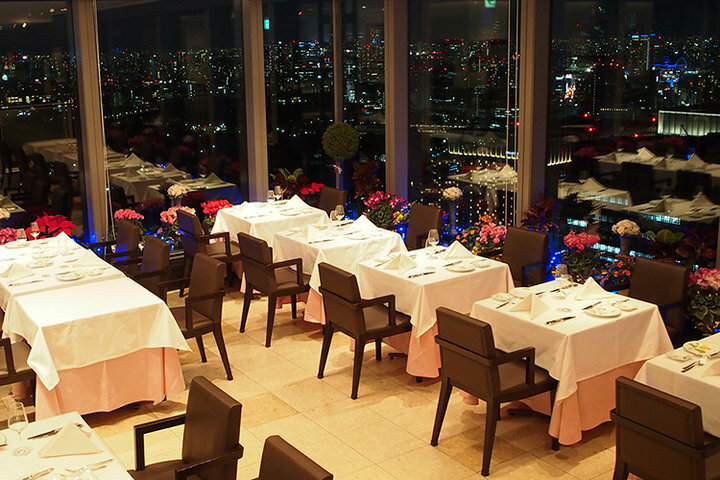 Through the large windows guests can overlook Shinjuku skyscrapers, Tokyo Sky Tree and the Imperial Palace, the image of staying in a "hanging restaurant" is realistic. 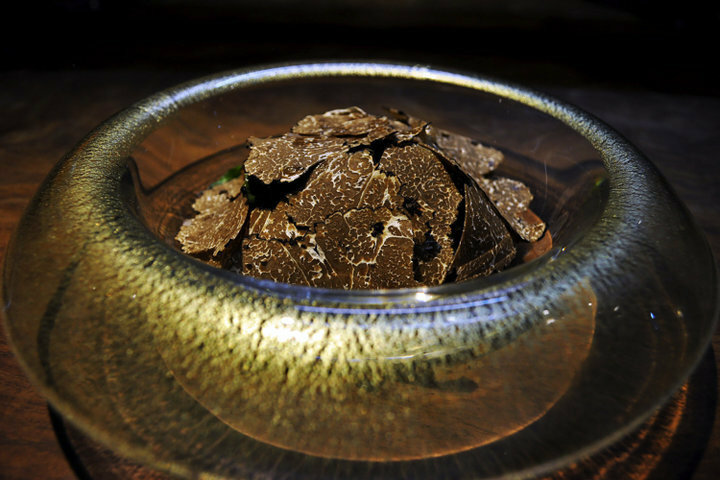 Guests can enjoy a one-of-a-kind dining experience in an extraordinary location which promises to be a perfect spot for everything from impressing your date to celebrating the special occasions and moments in life.